Promotional Pack is a Spanish Booster Pack in the Yu-Gi-Oh! 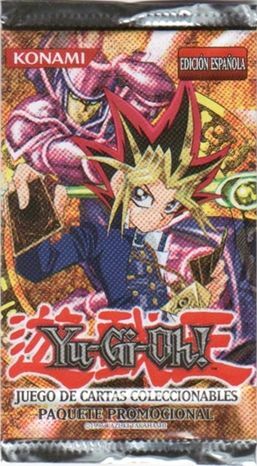 Trading Card Game, containing cards from Starter Deck: Yugi. Each pack contains two TCG cards and one informational card. This page was last edited on 18 May 2017, at 05:30.